Nothing turns a user away from a website faster than a broken link or link rot. Broken links are hyperlinks or links that do not take a user to a working web page. Instead they are directed to a 404 Error page or a page that simply does not exist. When a website is restructured and this reorganisation can cause many links to go dead. Although updating your website is a good idea, it is important to remain mindful of broken links when doing so. Try not to change URLs when updating a website. Websites can also have a limit to the amount of data they can have online and as a result old data is removed and replaced by newer articles, which results in broken links to old articles. Changing your ISP may also have an effect on links. Content filters may also be causing a link to appear broken to due various software and filters. 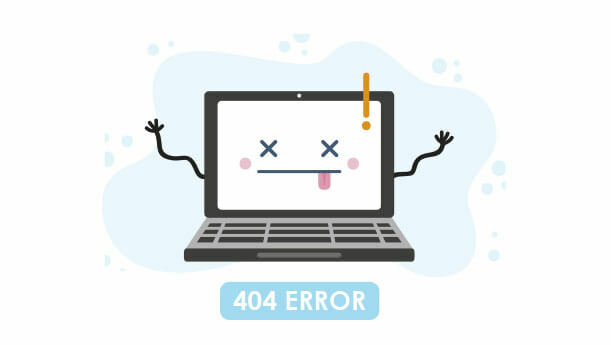 When building a website, or updating a website it is imperative to check for broken links and to do so constantly, as broken links do not look good to search engine robots and can have an incredibly negative effect on search engine rankings. Broken links can be fixed by redirecting them to the new content or removing the link and replacing them with new links.